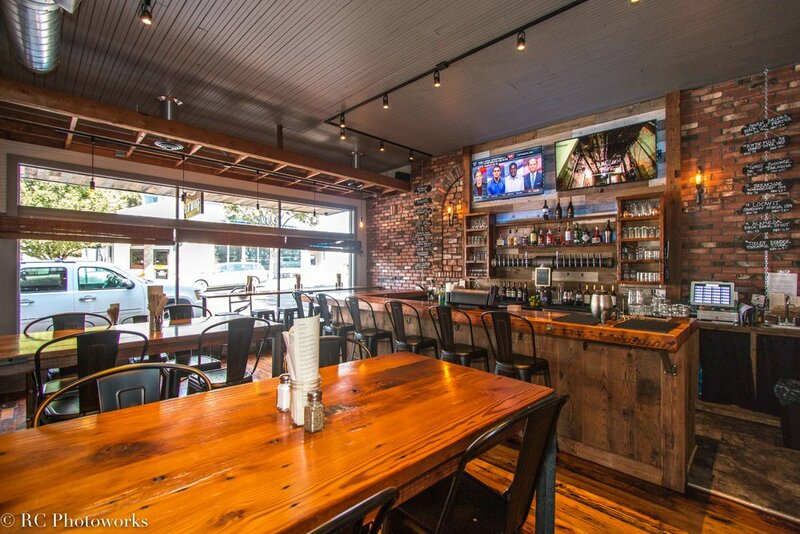 Red Bluff Tap House is a family owned, locally run, gastropub. 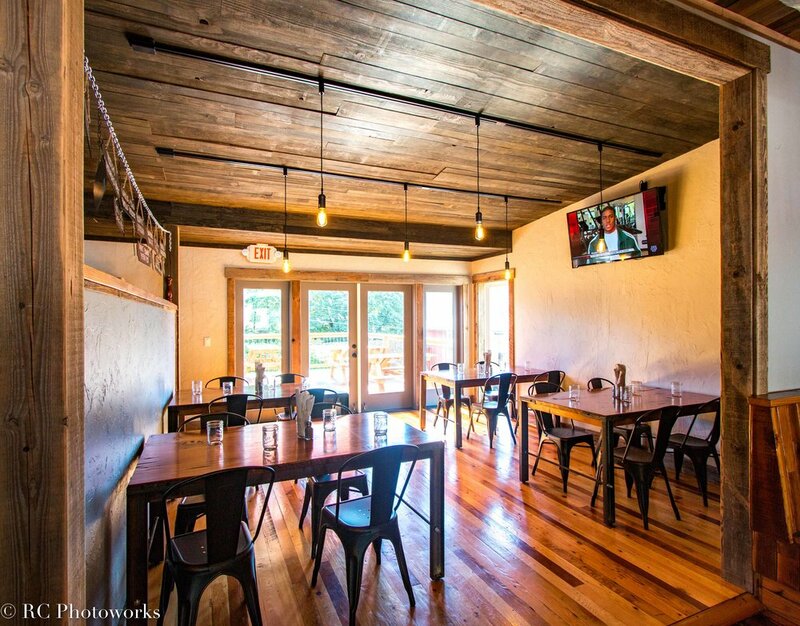 We are a family friendly venue with a restaurant, full bar, and patio. 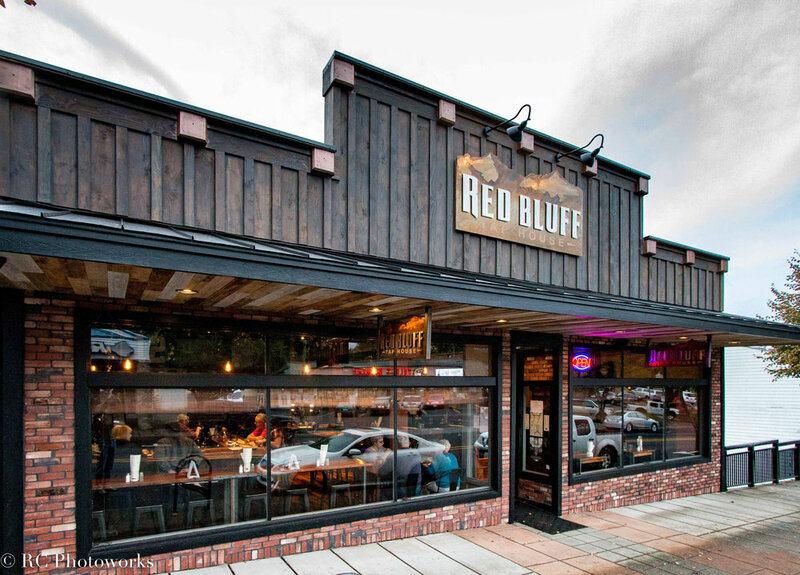 Red Bluff Tap House is a family owned bar and restaurant, located in the beautiful Columbia River Gorge. 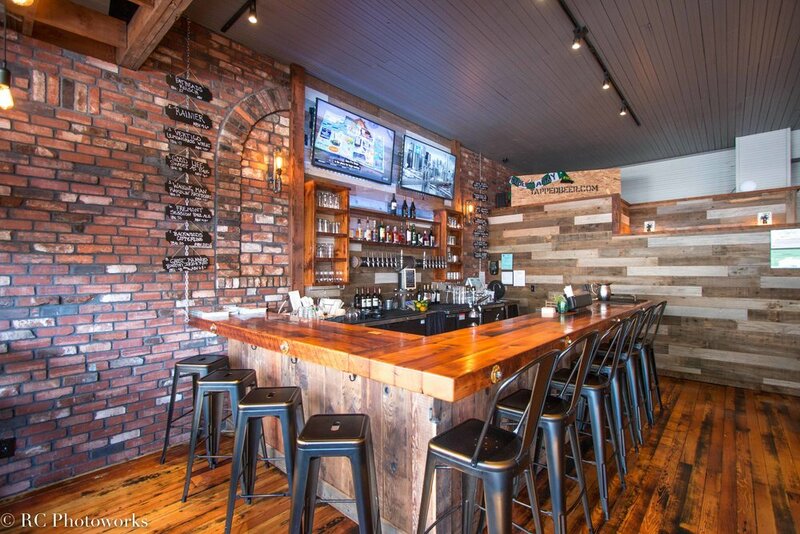 We feature locally sourced beer, cider, wine, spirits, and gastro pub culinary offerings. 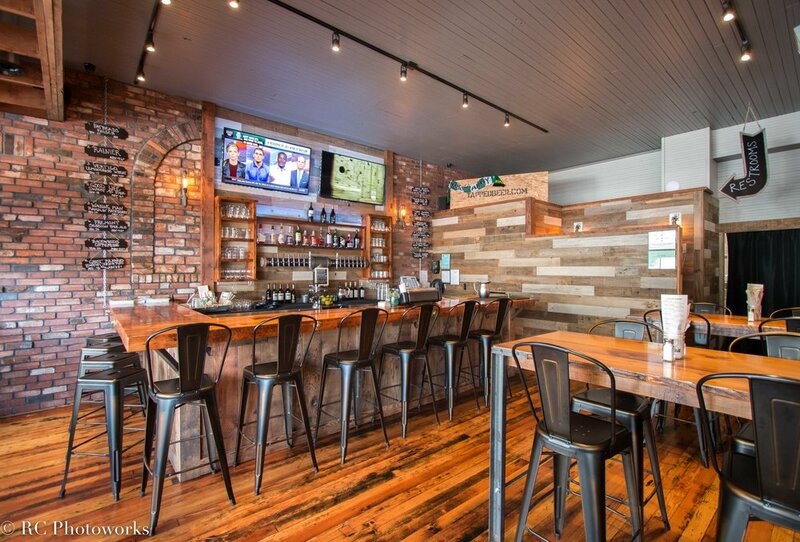 With sixteen taps including local brews, cider, and wine, we offer great pairings for our Chef's creations. Our classically based cocktail list throws back to a time of high quality spirits and balance flavors. 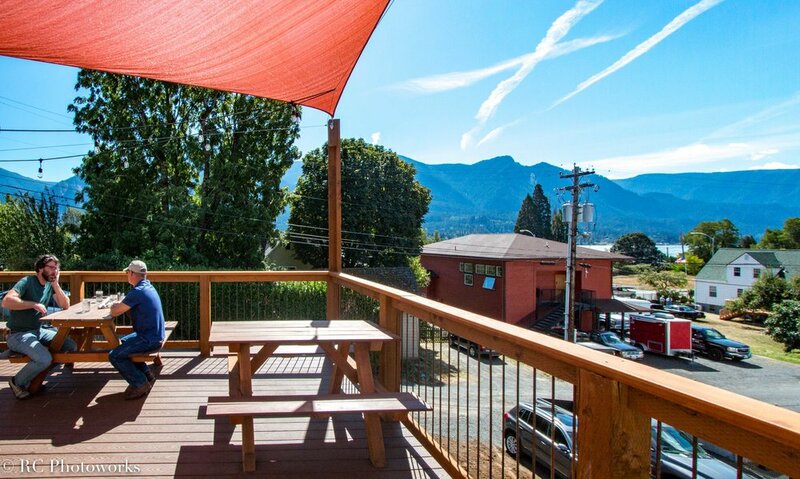 Or, share a bottle of wine on the patio and unwind from your day exploring in the Columbia River Gorge. A fresh combination of ingredients and culinary talent pulls together our locally sourced, Northwest offerings. 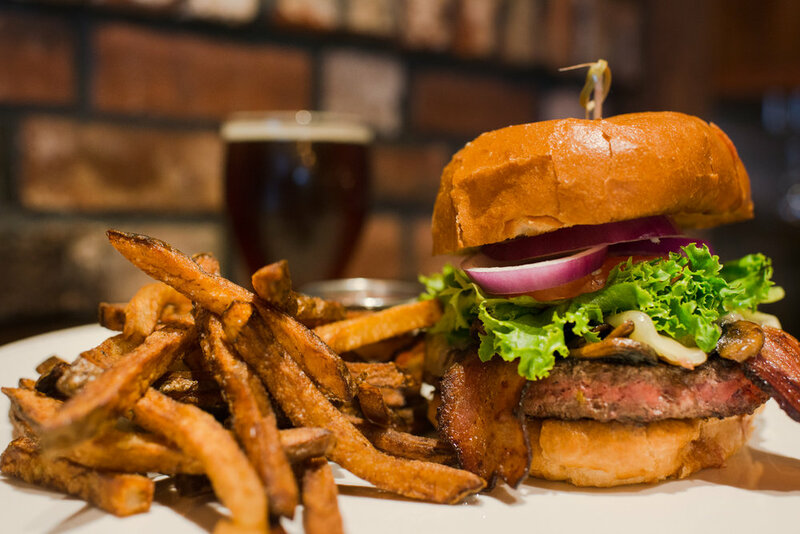 Our menu pays homage to pub classics, with the inspiration of keeping it local, fresh, and ever evolving. Fried brussel sprouts, sautéed onions, and pork belly. Drizzled with an apple cider reduction and topped with toasted almonds – the perfect balance of tender and crispy! A new twist on the Canadian classic! 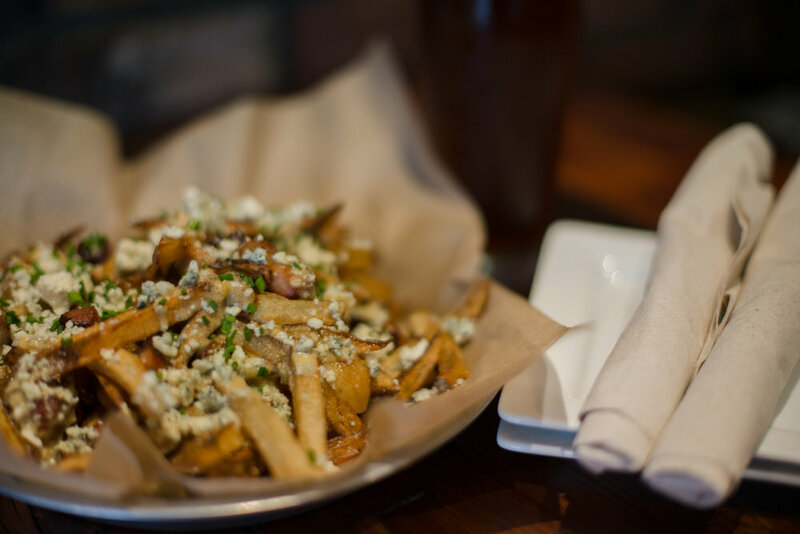 Our house-cut fries, melted cheese curds, coated in brown gravy and topped with fresh cut chives and peppadew peppers. Fresh and Crispy house-made chips served with fresh pico de gallo and house-made mango salsa. Fresh, Hot & Made to order, with your choice of our beer cheese sauce or garlic parmesan cheese sauce. House-made red pepper hummus with toasted Naan bread, cucumbers, carrots, olives, celery, red onion, bell pepper, and peppadew peppers. Marinated steak bites with roasted mushrooms, garlic, and grilled onion served with toasted bread and our horseradish- bleu cheese sauce. Sushi grade Ahi tuna steak seared and served on top our house-made slaw with wasabi aioli, Korean BBQ sauce, pickled ginger, crispy wontons, and sesame dressing. Tender marinated steak, cherry tomatoes, carrots, chives and crisp butterleaf lettuce. 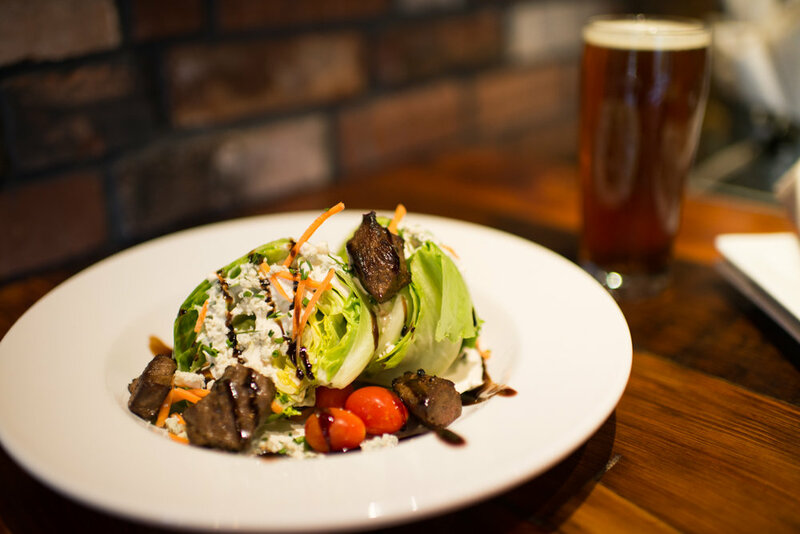 Served with our house-made bleu cheese dressing and drizzled with balsamic reduction. Mixed greens, topped with roasted squash, bacon, candied pecans, dried cranberries, crumbled bleu cheese, diced pears tossed with maple vinaigrette dressing. All served with your choice of house-cut fries, pasta salad, street corn salad, or coleslaw and on a brioche bun, unless otherwise indicated. Substitute Sweet Potato Fries, Side Salad, Cup of Soup to any Entree For 2. Sub a gluten-free* bun for 1.5. All burgers will be cooked to medium temp unless otherwise specified. A local favorite with fresh-ground chuck topped with jalapeno cream cheese, and house-made candied bacon jam. Fresh-ground chuck served with lettuce, tomato and onion. Fresh-ground chuck, served with bacon, crispy onions, fried egg, lettuce, tomato, and cheddar cheese, topped with our smoky BBQ sauce served on a pretzel bun..
Fresh ground chuck patty with our house-made candied bacon jam, melted gouda cheese, Lettuce, Tomato, Onion and garlic aioli. Smoked pulled pork smothered in our homemade smoky BBQ sauce and topped with sweet ‘n tangy pineapple/mango salsa and red onion on a pretzel bun. Grilled flatbread loaded with corned beef, sauerkraut, 1000 island dressing and topped with melted swiss cheese. Crispy, breaded, chicken, parmesan cheese, and Roma Crunch lettuce tossed with our Buffalo/Caesar dressing in a spinach wrap. Fresh ground chuck patty, juicy grilled pineapple, crisp red bell pepper, teriyaki aioli, melted provolone, and lettuce served on a pretzel bun. Hand-formed elk patty, our smoky BBQ sauce, with melted white cheddar cheese, lettuce, and red onion served on a Telera roll. Pilsner-marinated grilled chicken breast, fresh Spinach, basil, garlic aioli , tomato, and melted mozzarella with Balsamic glaze on a Telera roll. Tender grilled steak, street corn salad, pico de gallo, and Roma Crunch lettuce tossed in our zesty chipotle crema rolled up in a chipotle wrap. Made in house with black beans, quinoa, yukon gold potatoes and garlic. Topped with spinach, provolone cheese, caramelized onions, tomatoes, and garlic aioli. Chef’s choice of ravioli topped with our garlic parmesan sauce, fresh parmesan, Peruvian peppers, on a bed of spinach. This hearty burrito is filled with a mix of black beans, red peppers, squash, mushrooms, caramelized onions, poblano cream cheese and topped with our beer cheese sauce. Served with fries. 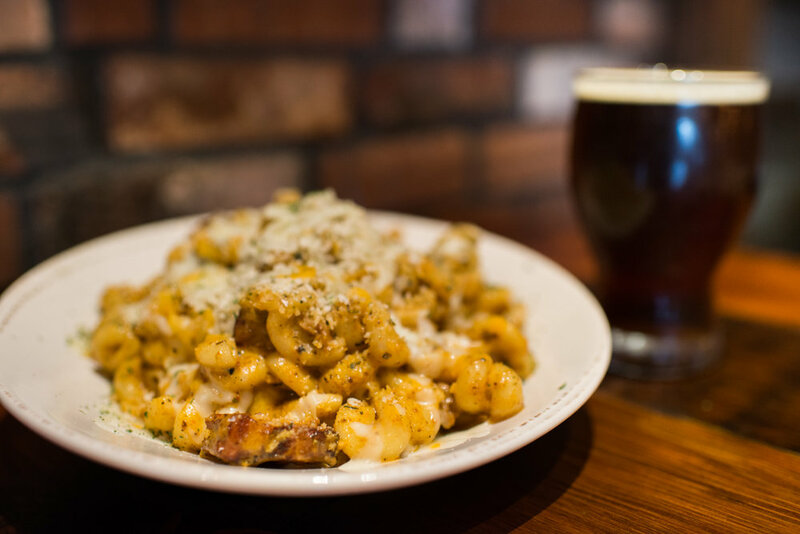 Cavatappi Pasta with house-made beer cheese sauce, or garlic parmesan sauce, topped with parsley and grilled parmesan crumbles. Fresh Haddock, hand-battered in IPA Beer batter. Served with tartar sauce, our house coleslaw, and hand-cut fries. Our take on a gyro – slow cooked lamb roast, curry spread, feta cheese, spinach, and red onion with our house-made Greek relish (cucumber, tomatoes, red onion, bell peppers, honey and lime). Served with a side salad. Seasoned and marinated sirloin steak in three corn tortillas topped with diced onions, and cilantro. Served with street corn salad and red chimichurri & green tomatillo sauce. A tangy and crisp mix of corn, cilantro, cotija cheese, tajin, and lime juice. Mixed greens, cherry tomatoes, carrots, candied pecans, and Peruvian peppers. Choice of Dressing. An extra large portion of our Fresh house-cut fries served with Portland Ketchup. A heaping portion of sweet potato waffle fries served with chipotle ketchup. Crisp cabbage in sweet and savory coleslaw dressing. 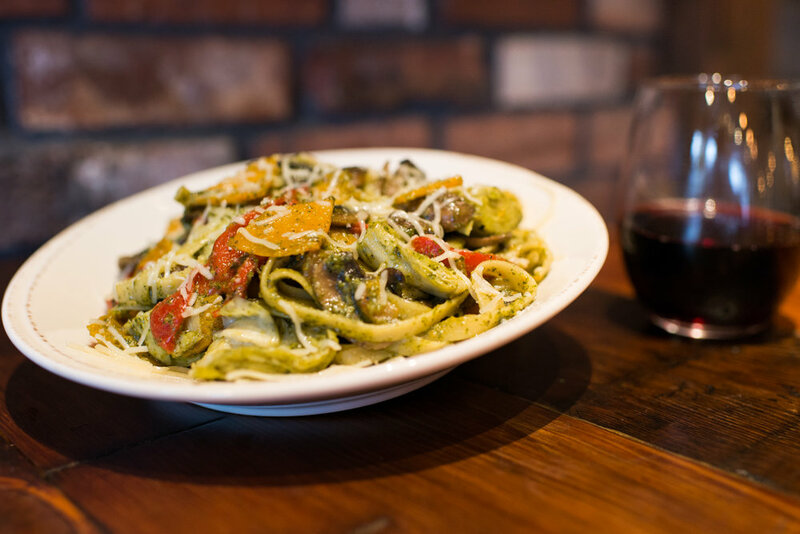 Cavatappi pasta tossed in pesto with kalamata olives, cherry tomatoes, and topped with parmesan cheese. *Consumer advisory: consuming raw and/or undercooked meats, poultry, seafood, or shellfish may increase your risk of food-borne illness. We cannot guarantee Gluten Free due to combined processing with items which contain gluten. We have a great selection of beer on tap as well as PNW-inspired cocktails! Please Call (509) 427-4979 to make a reservation. Parties of 12 or more will need to be approved by a manager. Thank you!